You can turn a plain garment into something festive and frilly with an applique. Appliques are designs that are loaded into embroidery machines. While the embroidery machine does all of the work, you do need to select the applique design that you are interested in sewing. 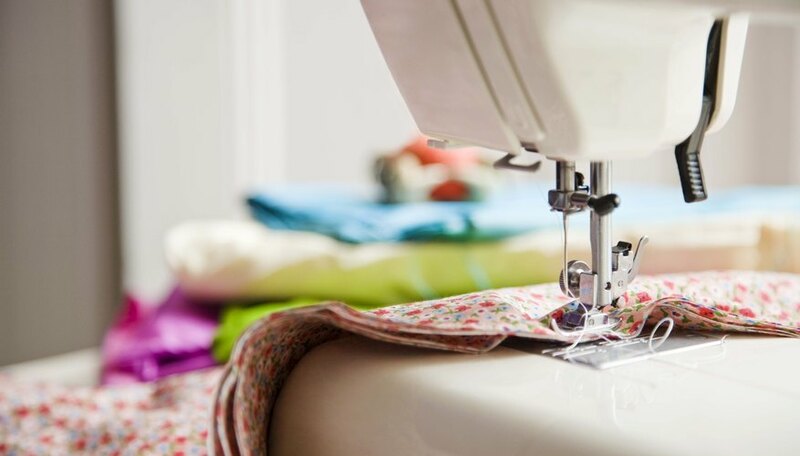 The process of putting the design into the machine is digital, and you can do this the same day you wish to start the sewing without any waiting period. Turn on the computer and the embroidery machine. Insert the USB cord between the machine and the computer. This connection will open a special embroidery file or program on the computer. Open the program on the computer and scroll through the design options. When you select the one you want, double-click the mouse on the image and the file will select it. On some machines, it may also be necessary for you to hold down on the image and drag it to an icon of the sewing machine to complete the transfer. Search for additional applique designs on the Internet, if you do not find one that suits you within the program. Internet-based applique designs can be downloaded to your computer and saved as an applique file within the applique program. Check the embroidery machine to make sure the transfer from the computer went through. You should see the image you selected appear on the embroidery machine's screen. Close the program on the computer so that you can disconnect the USB cord. Once the USB cord is disconnected, the embroidery machine stands on its own, with the new applique image, and you are ready to start sewing. If you do not use a USB cord, you can also download appliques onto embroidery machines by saving the file onto a memory card on the computer, ejecting the memory card from the computer and inserting it into the embroidery machine. The image will then appear on the machine.